Time:9:30 am to 12:30 (a one hour lunch time) 1:30 to 5 pm. This video is from a two-hour lecture that Stuart gave at the Zen Wellness center in Phoenix. In it he talks about the philosophy and practice of Eight Brocades Seated Qigong as well as many other related subjects of Taoism, Buddhism, and cultivation practices. We hope all our Celestial Members will take advantage of this opportunity to learn the Great Compassion Mantra. Studying, listening to, and memorizing mantras is a wonderful and fruitful adjunct to one’s cultivation and spiritual growth. from his DVD lecture series on the Yellow Court Scripture. These qigong exercises help promote the circulation of qi within the body, as well as develop gracefulness, flexibility, strength, balance, and mindfulness. The Five Animal Frolics also correlate with the Five Elements of Chinese Medicine, and thereby correspond to the internal organs. Each of the Five Animal Frolic exercises act as a preventative and prescriptive health regime for the internal organs. Video lessons on each of the Five Animals (Tiger, Monkey, Bear, Deer, and Crane) are available in the Celestial Member Area. The Four Season Qigong Exercises (四 季 氣 功, Si Ji Qi Gong) are a very old form of qigong performed in conjunction with another set of exercises called The Methods of the 24 Dao Yin Seated Exercises (二 十 四 導 引 坐 功 法, Er Shi Si Dao Yin Gong Fa). They are specific internal alchemy (內 丹, nei dan) and external alchemy (外 丹, wai dan) regimes designed for the four seasons of the year and the moon phases of each month. The Four Season Qigong Exercises comprise four separate regimes practiced daily throughout the four seasons of the year. The first exercise is practiced in the three-month spring season, the second exercise is for the summer period, the third for autumn, and fourth for winter. With The Methods of the 24 Dao Yin Seated Exercises, two regimes are practiced per month, making twenty-four in total (or six exercises per season). Each exercise is performed during certain starting and end dates that accord with the lunar calendar, and are likewise practiced during specific hours of the day for attaining optimum benefits. In the Celestial Member Area, simple explanations for all the exercises will be given along with video clips (featuring Denis Gendron and Patrick Gross) for each of the 24 Dao Yin practices. The Spring Season exercises are now available, and the instructions and videos for Summer, Autumn, and Winter will be added soon. For 2017, begin practicing on January 28th, Chinese New Year Day. Here is the first lecture in Stuart Alve Olson’s commentaries on Lao Zi’s Tao De Jing. Stuart is recording and posting talks on all 81 chapters, which appear in our Celestial Member Area. These will be some of the most in-depth lectures on the foundational work of Daoism, as Stuart is gearing all his commentary on being able to apply these teachings towards your own personal practice of meditation and spiritual development. On January 28 & 29, 2017, Stuart Alve Olson conducted his first seminar on the Yellow Court Scripture, focusing on volume 1 of the Yellow Court Book Series. This video is a portion of his opening remarks. See the Yellow Court Seminar DVD Series at Valley Spirit Arts for more information. Check out the Yellow Court Audio Lectures page to listen to Stuart’s talks on the External Illumination of the Yellow Court. The Sanctuary of Tao is a 501(c)(3) non-profit educational and charitable organization. We have structured our website to provide more information and instruction for our two membership levels. We hope you enjoy all the features we have added to the Sanctuary of Tao website! This membership is free and allows you to access the Earthly Membership Area, which features a series of Tao Talks by Stuart Alve Olson and sample Taoist chants from the book Taoist Chanting and Recitation, and our Tao Blog. Our paid membership costs $60 per year (tax deductible!) 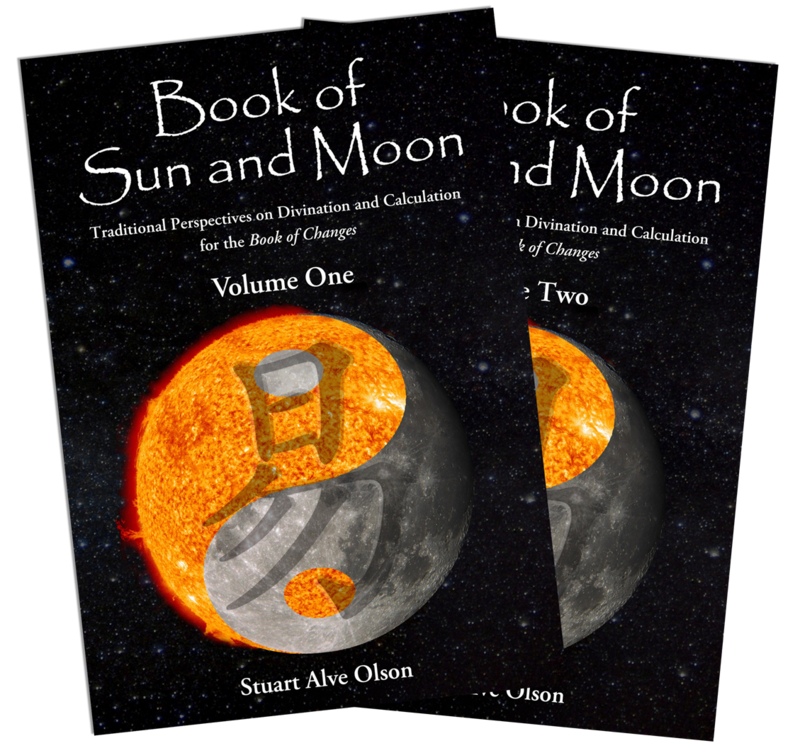 and provides you with full access to all areas of the website, including the dedicated Celestial Member Area, which features video lessons of the Five Animal Frolics Taoist Qigong Exercises, the Book of Tao and Virtue Contemplation Recordings, Stuart Alve Olson's ongoing commentaries on the 81 chapters of the Tao De Jing, Taoist Calendar and Astrology Calculator, Taoist Illustrations & Translations page, the upcoming video lessons for the Four Seasonal Qigong Exercises (starting on Chinese New Year) and much more! Celestial Members also receive a 15% discount coupon code for any products offered through Valley Spirit Arts. Contact us for more information. Join our Sanctuary of Tao and Valley Spirit Arts Newsletter!